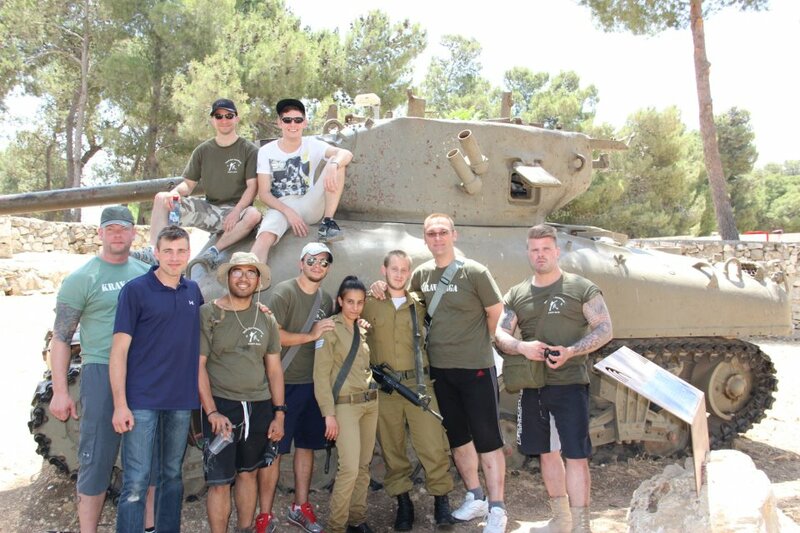 Welcome to IKI Tour and Train Israel, an experience like no other. Just like the Krav Maga episode on "The Human Weapon", students come from all over the world to train here, in Israel, from a fully qualified Israeli instructor. It is suitable for beginners as well as world class instructors as we always begin with step one, the basics, and build up step by step. Each participant will progress according to his own level. You will be matched up with appropriate partners and will receive the personal attention you need. We have had world famous martial arts experts as well as those without a single day of Krav Maga experience. All are welcome and all will benefit. Day 11 - We now offer an option for "Day 11". This takes place on a counter terrorism training base and involves an extra cost. All participants will receive a Certificate of Completion of the Tour and Train course. All participants will receive a certificate for participating in the basic counter terror course. Those who attend the extra courses: Full day counter terror course, or VIP protection course, will receive certificates for those courses. Participants are eligible to test for rank in IKI Krav Maga. IKI Members are eligible to test for instructor rank. To join IKI please see Membership. Includes: Basic Anti-Terrorism course (not to be confused with the full day Counter Terrorism course), Tour and Train T shirt, IKI Krav Maga T shirt, two full length Krav Maga training DVD's. I feel it is best to stay in Maaleh Adumim. We do not have any hotels but there are very nice rooms an units for rent ranging from about $20 per night to about $50 a night. Food here is rather inexpensive, unless you choose to dine in fancy touristy restaurants. IKI is a smoke free environment. Our hosts have made it clear that no smoking is allowed on their premises. (this includes backyard, balcony etc) If you are a smoker please refrain while you are here, or find a place far away so that it does not affect others. Sometimes smokers think that if they step to the side, smoke, and return, that on one will be disturbed. This is not the case. Over and over again non-smokers have said they do not want to train or be near anyone who has smoked a cigarette, the stench stays with the person. This is a Sabbath observing community. As such we ask you to respect the feelings and the guidelines of the community. Thus on Saturday there is no playing of loud music, no vehicles, no smoking etc. $400 deposit required, (PayPal, check or Western Union), Non-Refundable. This deposit is non refundable and cannot be applied to future events. Your deposit is your registration and processing fee. In the event that you participate in the program the $400 is applied as part of your total payment, i.e. only $1,000 remains to be paid. If you do not show up to participate the $400 is forfeited as your non refundable registration and processing fee. Some choose nearby Jerusalem with its choice of many types of accommodations ranging in price from $20 a night to $500. Most of our students choose to rent in Maaleh Adumim and be within walking distance of the training center. This also helps develop of strong feeling of camaraderie between students. The choice of housing is up to you, but I can help you. Prices for Hotels or a bed and breakfast in Jerusalem can run from a few dollars per night to hundreds. You are of course welcome to stay in Jerusalem if you prefer. Smoke free environment: IKI is a smoke free environment. Our hosts have made it clear that no smoking is allowed on their premises. If you are a smoker please refrain while you are here, or find a place far away so that it does not affect others. Sabbath - This is a Sabbath observing community. As such we ask you to respect the feelings and the guidelines of the community. Thus on Saturday there is no playing of loud music, no vehicles, no smoking etc. Our community is a traditional Jewish one. You will feel very welcome here. Please try your best to fit in and respect the community and they will treat you the same. 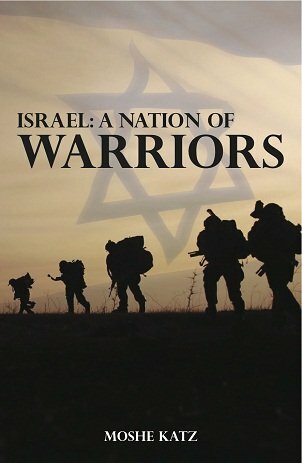 Come to Israel better prepared. Or read it on Kindle!